We are an efficient and expert recycler, who reprocesses all important IT wastes in compliance with regulatory bodies and standards. Along with other environmental impact, recycling helps to reduce municipal solid waste by 25%. Recycling can lessen discarded materials by eliminating and recuperating structured materials from the printed circuit units. The reduction of perilous waste helps services to meet the necessities of waste eradication under RCRA, 40 CFR 262 and Executive Order (EO) 13148, EO 13101, Greening the Government through Waste Deterrence, Recycling, and Federal Achievement. Moreover, salvaging can drop potential generator obligation issues associated with inappropriate waste management and clearance measures. The money matter of printed circuit board recycling will improve many features, including: the features of the boards to be reprocessed, market value of the reclaimed materials, capacity of materials being recycled and circumstances of the dangerous waste and solid waste market. Boards containing prized metals, such as gold or silver that can be conveniently reclaimed, will be the most cost effective to recycle. Recycling also has certain drawbacks: Market price of the recycled and salvaged material may oscillate without any prior warning. 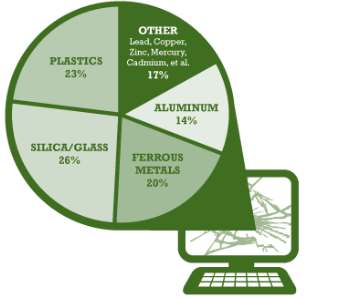 Toxic materials such as mercury has little or no recyclable value. In the Bay Area, we offer free e-waste pick up – one pallet minimum. We will pick up within 24 hours of your request. A free drop-off for everyone is welcomed at our address. 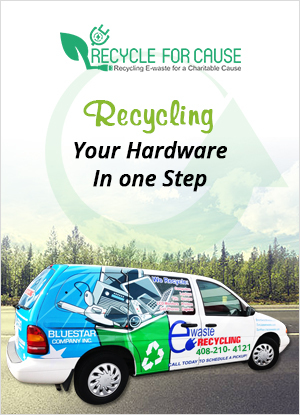 Mountain View E-Waste is always ready to give back to the community. We often arrange fundraising programs for non-profit organizations and communities.